Groundwater is water located below ground where the voids or pore spaces between sediment grains or rocks are fully saturated. Groundwater originates from a variety of sources, including precipitation, irrigation, infiltration from surface waters, and injection wells to name a few. 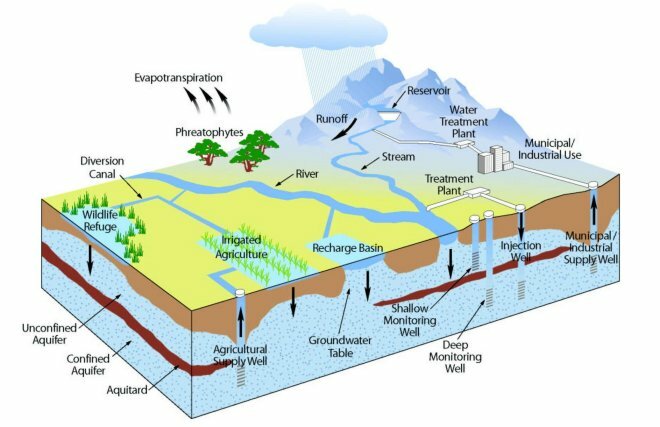 Groundwater can flow from one part of the subsurface to another; it can also leave the subsurface as outflow to streams or other surface waters, spring flow, evaporation, and discharges from wells. In a sense, all groundwater starts as some form of surface water. The two types of water, surface water and groundwater, are inherently connected. Depending on location, slope, geology, soil type and vegetation, the ground can receive and retain groundwater similar to the way a sponge soaks up water. The percolation process that moves water from the surface to the subsurface is often a relatively slow process that occurs over several years to over a millennium in some cases. Everyone living and working in Napa County has a stake in protecting the County's groundwater resources. Without sustainable groundwater resources, the character of the County would be significantly different in terms of its economy, communities, and ecology. To address these challenges, long-term, systematic monitoring is essential to provide data allowing for improved evaluations of water resource conditions and trends. Napa County has embarked on a countywide Groundwater Monitoring Program to develop a sound understanding of groundwater conditions through groundwater monitoring and data management. The program provides a foundation for coordinated, integrated water resources planning and dissemination of key water resources information. 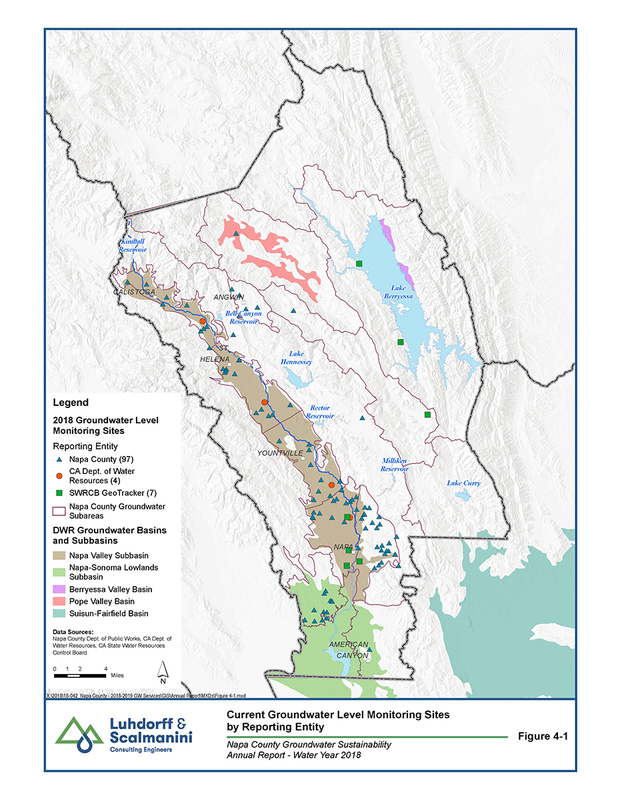 Because groundwater availability can vary within larger groundwater basins, and since groundwater use occurs both within and outside of established groundwater basins, the Napa County Groundwater Monitoring Program has delineated the entire county into 17 subareas based on geographic, geologic, and political boundaries. These groundwater subareas provide a basis for the presentation of data both on this website and in related reports. What do we know about groundwater? Groundwater data availability in Napa County varies widely among the subareas. The bulk of the historical and current groundwater level and quality data is located in the Napa Valley area with limited data elsewhere. Groundwater level trends in most of the Napa Valley floor appear to be stable for the majority of wells monitored. While many wells have shown at least some degree of response to recent drought conditions, levels do recover in the spring after winter rains. Elsewhere in the County long-term groundwater level records are limited, with the exception of the MST Subarea. Groundwater level declines observed in the MST as early as the 1960s and 1970s have stabilized since 2009. Infiltration of precipitation has been shown to provide significant groundwater recharge in Napa County, particularly in unconsolidated geologic settings like much of the Napa Valley floor (Kunkel and Upson 1960, LSCE and MBK 2013). 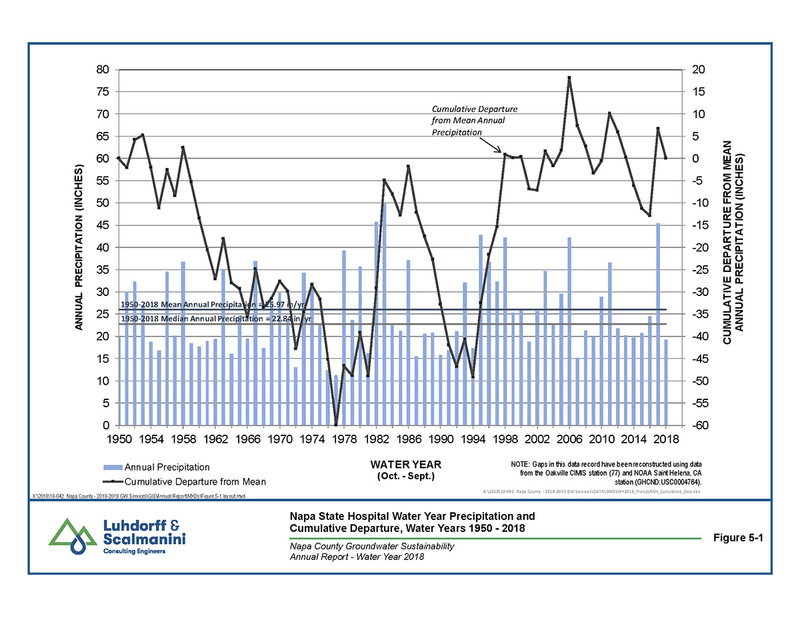 Recently, long term precipitation records in Napa County have been used to develop a water year rating system that defines Very Dry, Dry, Normal, Wet, and Very Wet water year types (LSCE 2016, 2NDNATURE 2013). 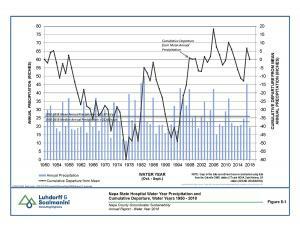 Since the mid-1900s consecutive Dry or Very Dry years have occurred five times. Groundwater levels have shown greater sensitivity to shorter periods of well below average precipitation, such as the consecutive Very Dry years of 1976 and 1977. Many monitored wells recorded their lowest groundwater levels in 1977, although the subsequent period from 1987 to 1994 saw a longer period of below average precipitation. Nevertheless, for those areas of the county where groundwater data are available, groundwater levels typically recover to previous levels with the return of average rainfall, despite experiencing some decline during times of drought. What we are doing about groundwater? 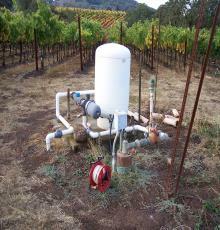 Groundwater and surface water are highly important natural resources in Napa County. The Napa County Groundwater Monitoring Plan was put in place in order to address groundwater-related challenges within the County. 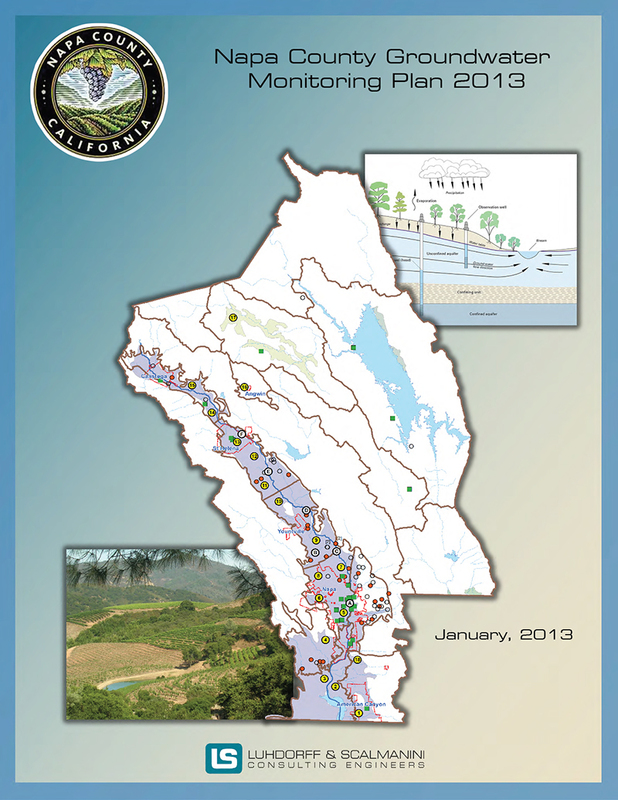 The Napa County Groundwater Monitoring Plan is a living document that will be updated based upon the data collected. Its purpose is to formalize and augment current groundwater monitoring efforts (levels and quality) to better understand the groundwater resources of Napa County. The plan will aid in making the County eligible for public funds administered by the California Department of Water Resources (DWR), and will regularly evaluate trends to identify changes in levels and/or quality and factors related to those changes that warrant further examination to ensure sustainable water resources. The Voluntary Groundwater Level Monitoring Program measures groundwater elevation twice per year (Spring and Fall). 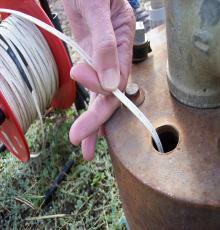 These measurements improve the understanding of groundwater for the landowner and the County. 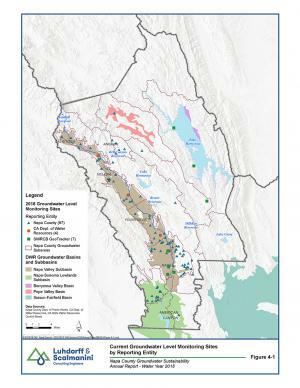 A comprehensive network of privately owned volunteer wells, along with publicly owned wells, provide a greater understanding of Napa County aquifers. The program will be strengthened by expanding the voluntary well network to areas where data is lacking or nonexistent. 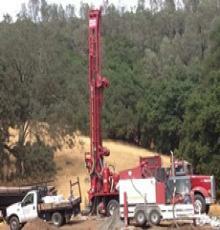 To learn more about groundwater monitoring occuring in Napa County visit the Groundwater Monitoring page. On this page you can read a brief summary of current monitoring results and trends. You can also use the interactive map below to get more details about groundwater in various parts of Napa County.